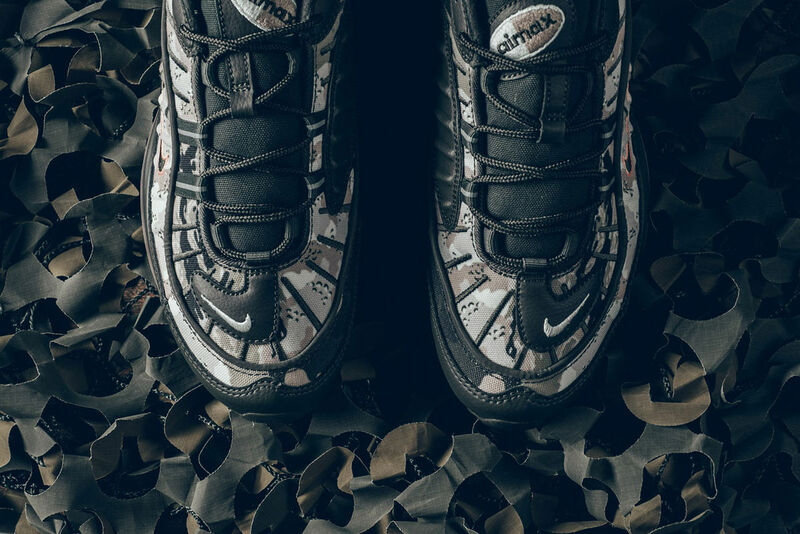 It’s been a while since Nike released a new colourway of the Air Max 98 but this new camo colourway is one of the most fire iterations of the sneaker yet. 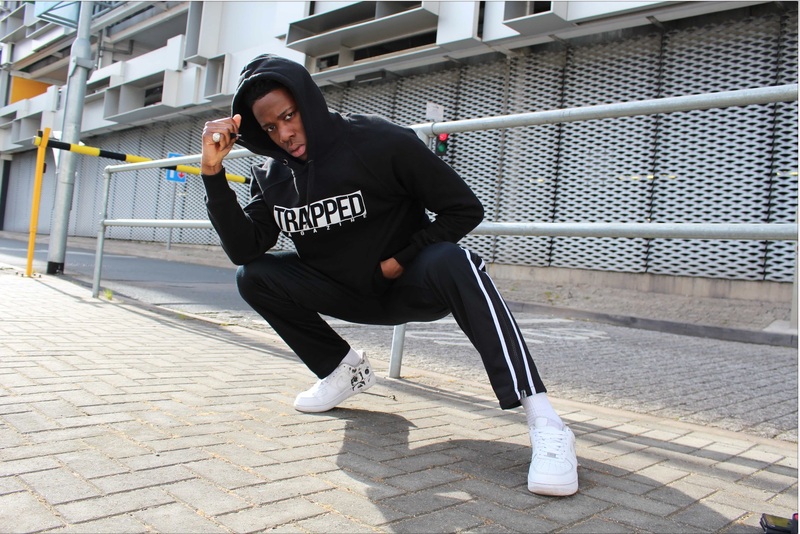 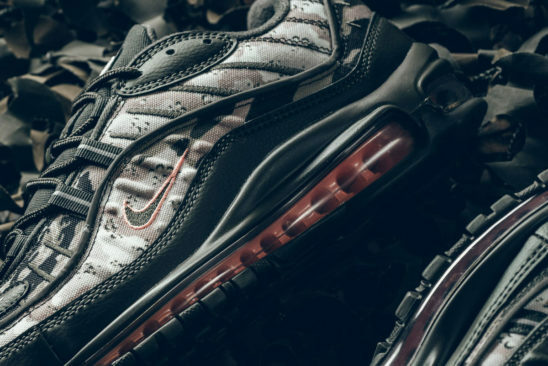 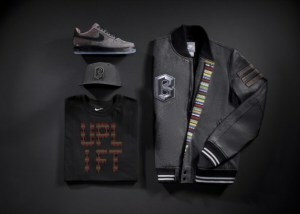 Though black is the base colour for this 98 camo stretches across the majority of the upper with sunset tint (red) accents and air bubble which stand out against the trainers dark upper. 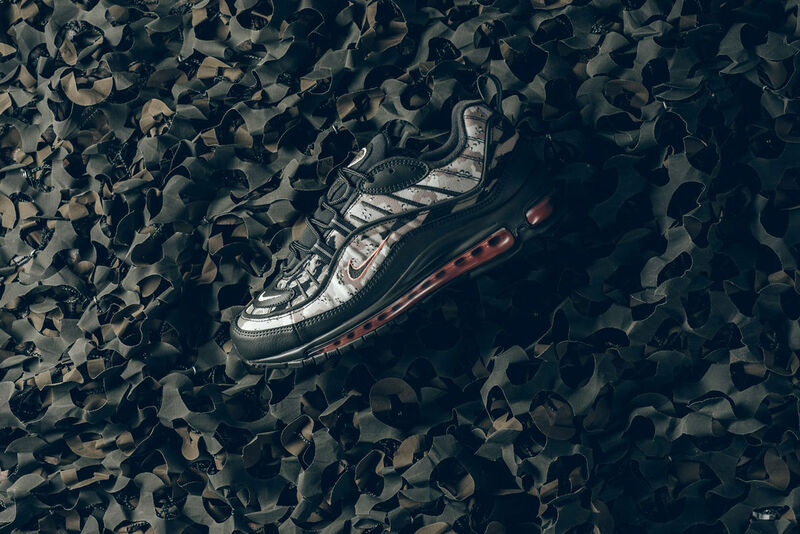 There is currently no concrete release date for this pair of Air Max 98s but American retailer sneaker politics already has them available so expect them to land in EU stores soon for a retail price of £140.